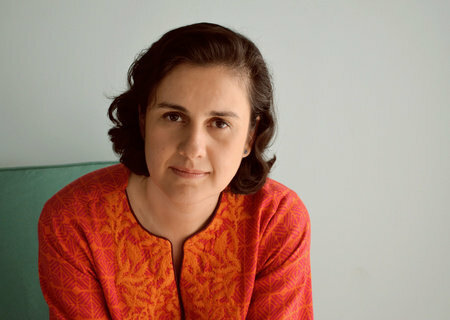 Kamila Shamsie was born in 1973 in Karachi, where she grew up. She has a BA in Creative Writing from Hamilton College in Clinton, NY and an MFA from the University of Massachusetts, Amherst. While at the University of Massachusetts she wrote In The City By The Sea, published by Granta Books UK in 1998. This first novel was shortlisted for the John Llewelyn Rhys Award in the UK, and Shamsie received the Prime Minister's Award for Literature in Pakistan in 1999. Her 2000 novel Salt and Saffron led to Shamsie’s selection as one of Orange's “21 Writers of the 21st Century.” With her third novel, Kartography, Shamsie was again shortlisted for the John Llewelyn Rhys award in the UK. Both Kartography and her next novel, Broken Verses, won the Patras Bokhari Award from the Academy of Letters in Pakistan. Burnt Shadows, Shamsie’s fifth novel, has been longlisted for the Orange Prize for Fiction. Her books have been translated into a number of languages.